Use this thread to report (suspected) bugs and for discussing fixes. When reporting a bug, be as concise as possible in the steps that need to be taken to reproduce it. Report any suspicious log or console messages as well as what you expect to happen and what happens instead. Always indicate what version of the Shuttle you're using, where you got it from and what FG version you're using. Not really a bug Shuttle wise, more linked to the wiki. May someone could confirm I am not totally crazy? Your not crazy, looks like normals got flipped. I'll take a closer look in the next day or two. looks like normals got flipped. I'll take a closer look in the next day or two. Thanks! 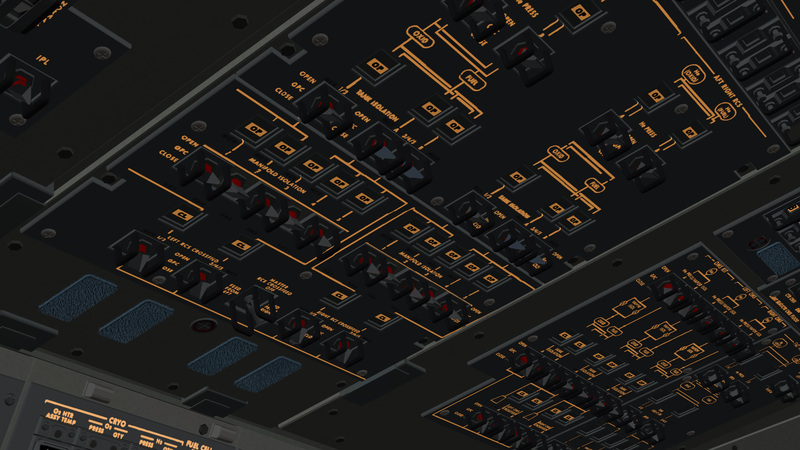 I think there are others as well, on the O14, O15 and O16 panels, but I don't think we have usable switches there, yet. @eatdirt I'm looking at the issue now and it's going to take a bit of digging. What I see in your first shots looks like a rotation issues. 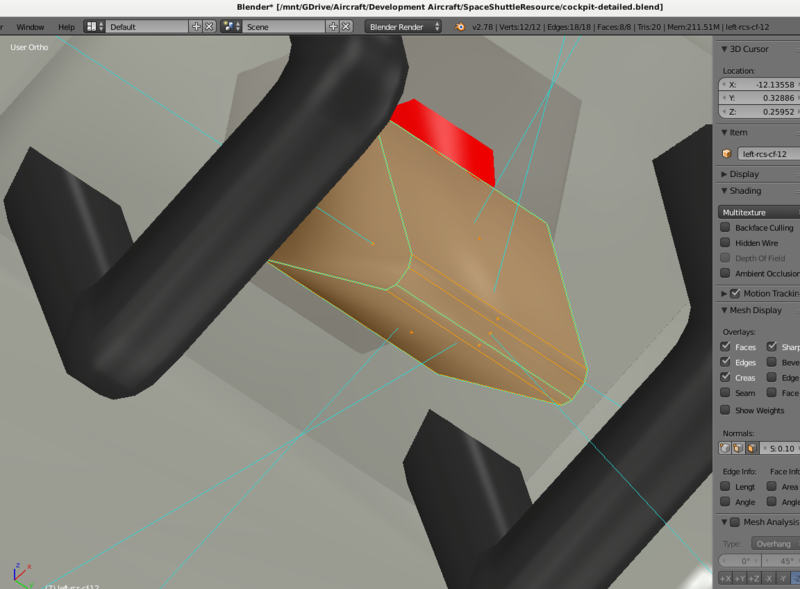 Except the normals in the blend also look like they are screwed up. Wow, it is just the normals. 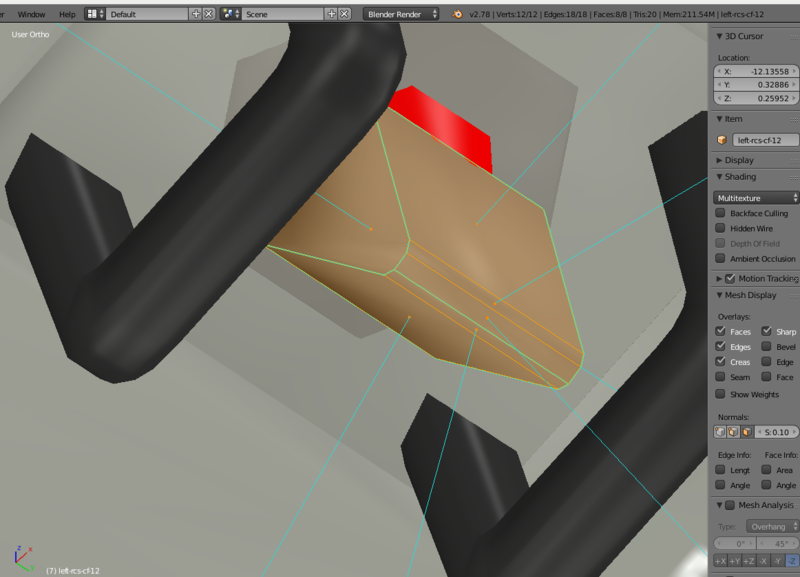 That is so weird that flipped normals gives you such a 3dimentional brain fart. 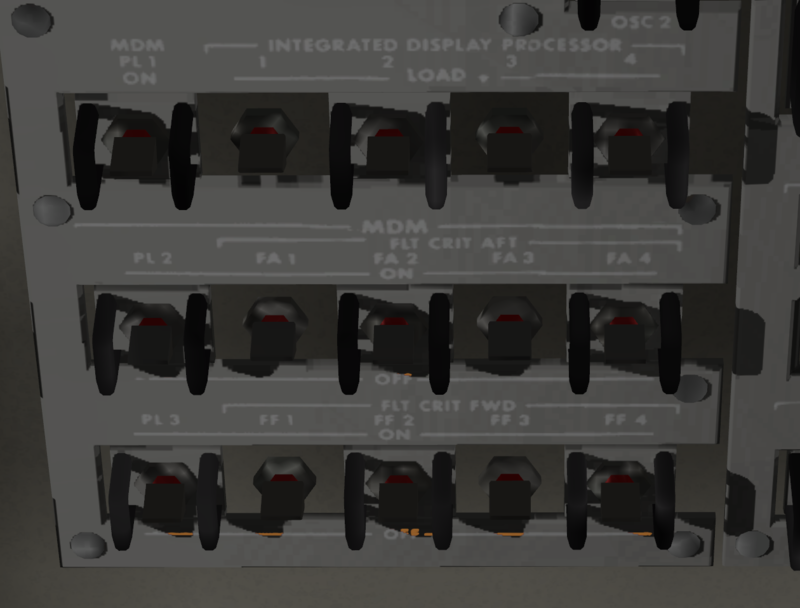 I corrected the first switch and looked at it in the sim, it is fixed and the rest I can verify are tweaked in my version as well. It'll take a bit of time to sort it out and get all the offending mesh fixed. After I notify you of my first round of corrections maybe you can keep an eye out for any I missed or anything we haven't noticed yet. Arrrrg, this is fairly extensive. @Thorsten, any clue as to what might have happened here? 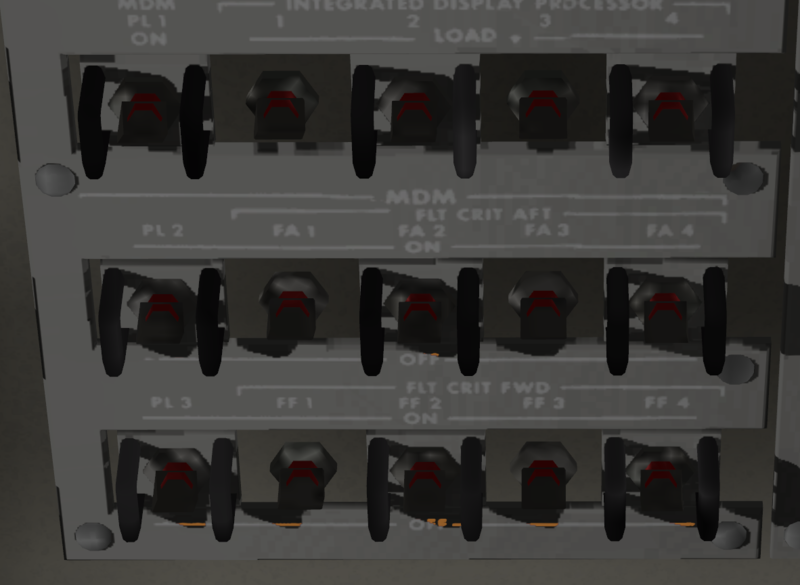 These are all individual switches, they don't simply change at will! Either it was that way since the beginning and we somehow didn't notice or something changed them. Last edited by wlbragg on Wed Dec 19, 2018 5:03 pm, edited 1 time in total. OK, GPC/MDM panel left of RCS has many normal issues and it never was split out. So this is inherited from the original mesh and we simply never noticed it. This could literally be happening anywhere in the cockpit. Keep an eye out. This is the less noticeable thing to watch for. Sorry we were in the dark and I had to use the lights to see. Looking straight on it's not as easy to see. Last edited by wlbragg on Wed Dec 19, 2018 5:19 pm, edited 1 time in total. I also noticed most every switch has an unneeded face at the bottom of it, Thorsten, I think I already know the answer but, enough gain to make it worthwhile to delete the unneeded face? If anyone wants to help identify the bad normals feel free to search in the sim. 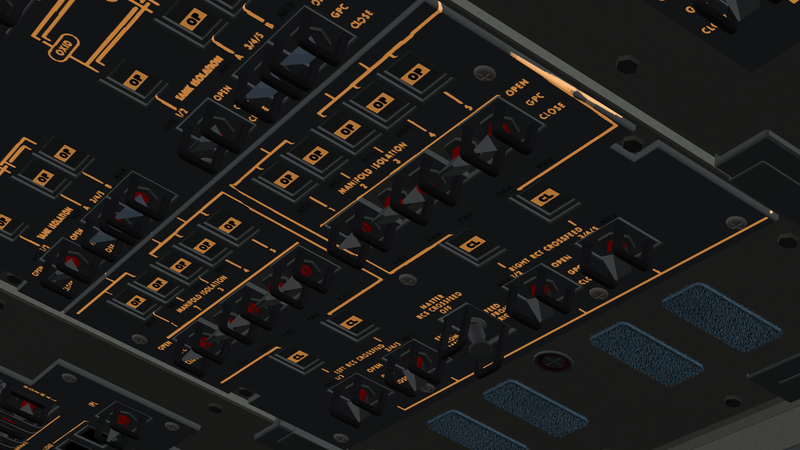 It is actually easier to see in the sim than in the blend. 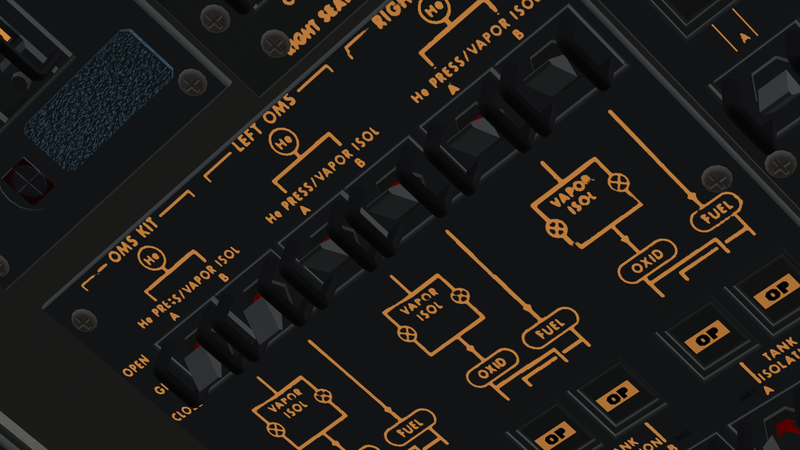 If you find more please be specific as to the panel and row, or even the individual switch. 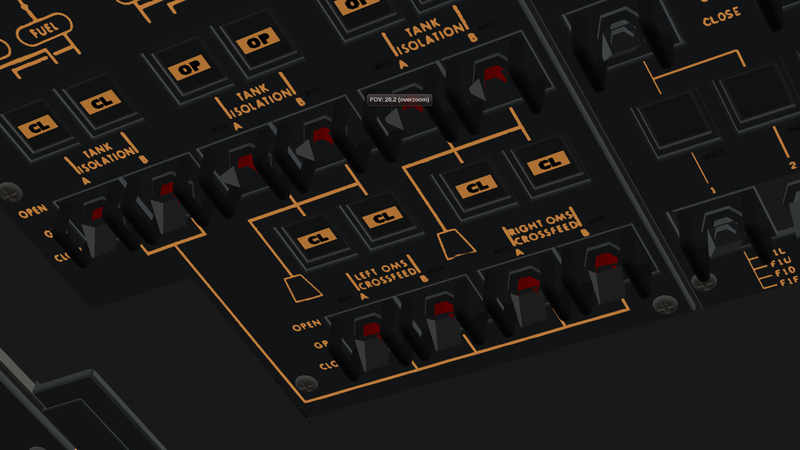 Again, in the blend, I have to click on the offending object, set it to edit, select all faces, click on the view normal switch and then recalculate outside to fix if it is wrong. I have to do these steps for every object just to see if it is wrong. Without looking closely at the normal vectors, I can't even really tell after taking all those steps. So by then I just recalculate outside and see if the vector lines changed before I know if they were screwed up in the first place. Already completed (unless I missed something). You can double check after I push the corrections. I'll notify you when I push anything and what it is I pushed. This is for the benefit of anyone not following along in GIT and is helping to locate the normal issues. Last edited by wlbragg on Thu Dec 20, 2018 4:38 am, edited 10 times in total.